Apparently the Super Bowl is this weekend. I don’t give a hoot about football. I don’t want to hear who’s playing. Just tell me what food you’ll be making. I mentioned in the last In Bloom post that I’m growing tomatillos for the first time. 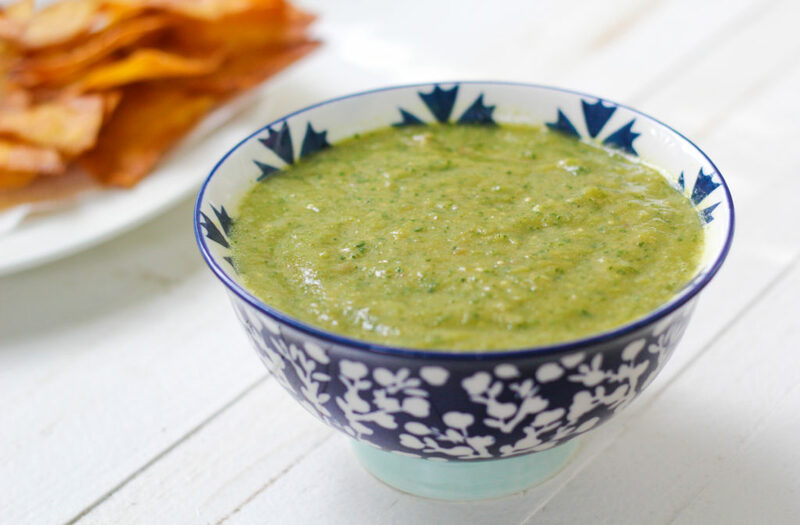 I’ve got a good crop right now, so I’m making lots of salsa verde. I usually blend the tomatillos with garlic, onion, jalapeños, lime juice, cilantro. Salt to taste. Done. You just can’t go wrong with fresh salsa. 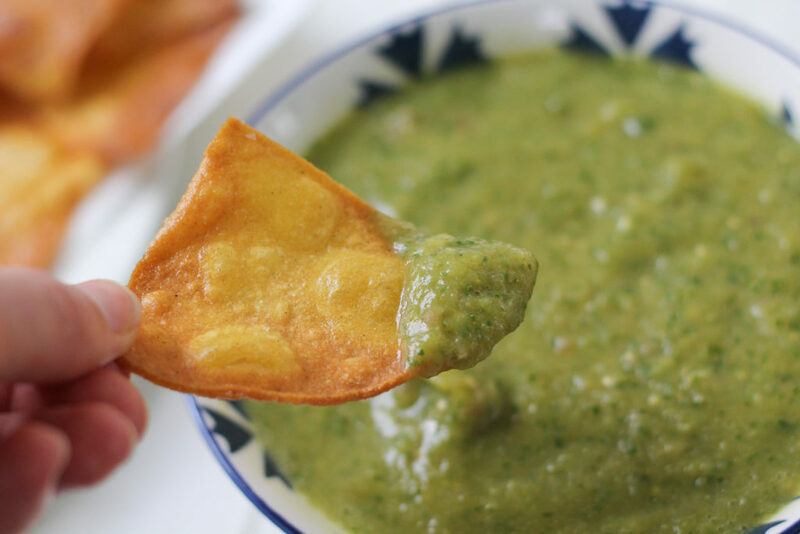 But after I tried a recipe in one of my favorite cookbooks, Hartwood, my tomatillo salsa entered another dimension. This gorgeous book is a collection of recipes, stories, and photos from a restaurant in Tulum, Mexico, with an emphasis on wood fire and local ingredients. I’ve dreamed of going there ever since my friend Coley confirmed it does indeed live up to the hype. The Hartwood recipe is not like what I’m used to. 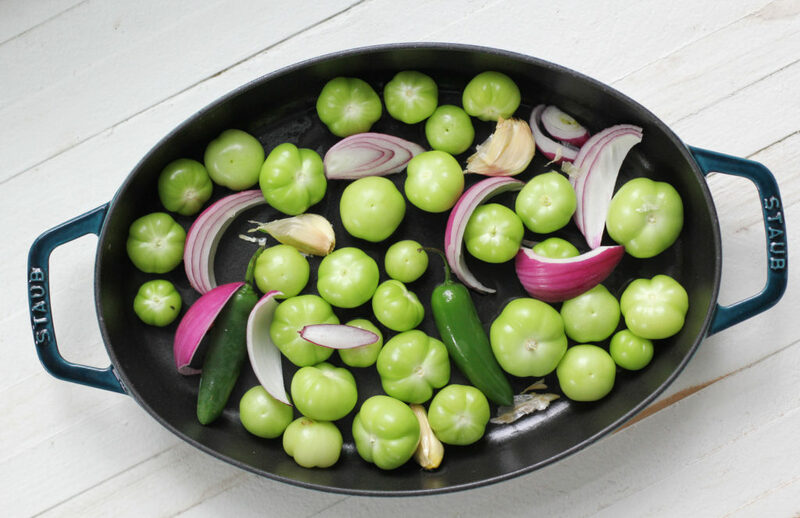 It starts by seasoning and roasting the tomatillos, alongside garlic, onion, and jalapeño. A swirl of olive oil goes on top, but what comes out includes browned bits and juices from all the veggies. Ahhh, roasted garlic. And some of the tomatillos plumped and popped. 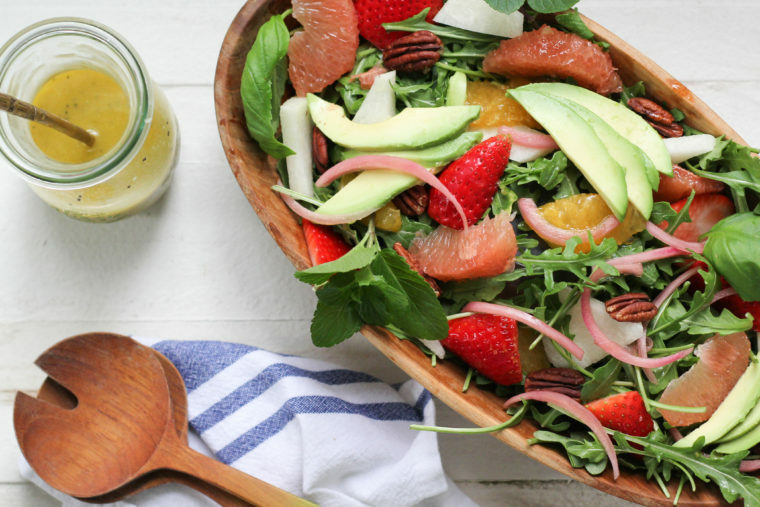 Everything, including the juice and browned bits, gets blended with the usual suspects, like lime juice and cilantro, but then there’s honey. I wasn’t sure I wanted sweetness in there, but I tasted it before and after. Yep. Honey for the win. If this is the only thing I ever do with homegrown tomatillos, they’re worth the space in my garden. 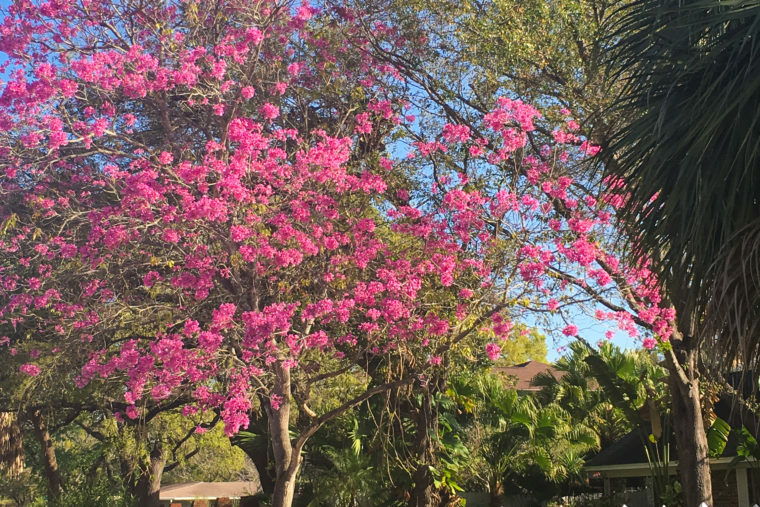 I’m dying to make some grilled fish tacos to go with it. 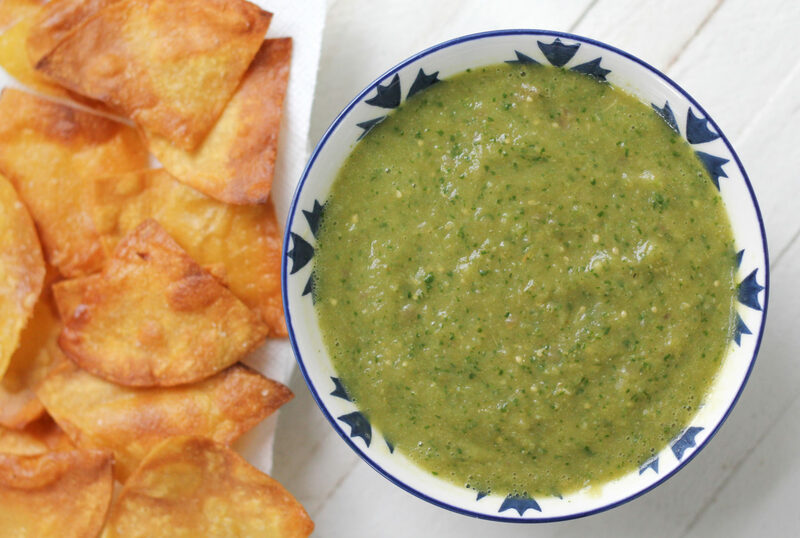 If you’re making this for the Super Bowl, serve it with a giant pile of homemade tortilla chips (so easy, recipe below). Your dip will win even if your team does not. Or whatever. Join me in the kitchen for snacks. 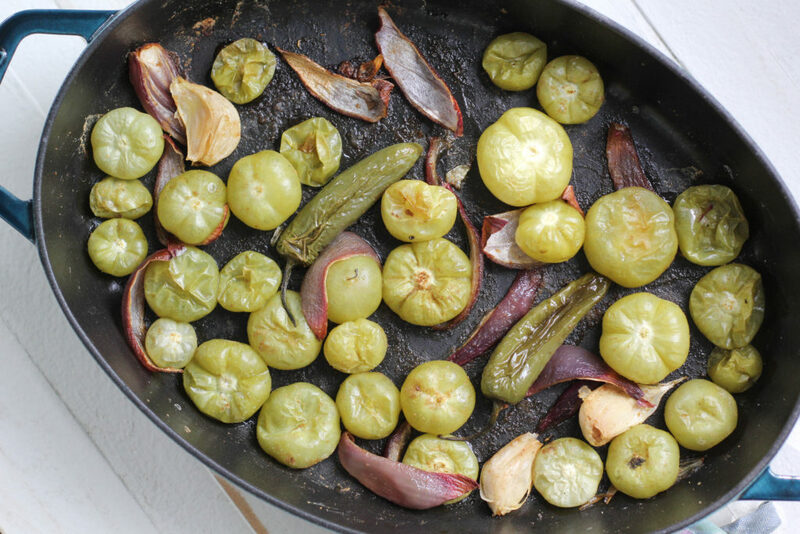 Add the tomatillos, onion, garlic, and jalapeños to a roasting dish. Sprinkle with seasonings, drizzle with olive oil, and toss. Roast for about 20 minutes, stirring occasionally. Add the tomatillos and onions to the bowl of a food processor. Pop the garlic out of it's peel and add the cloves to the food processor. 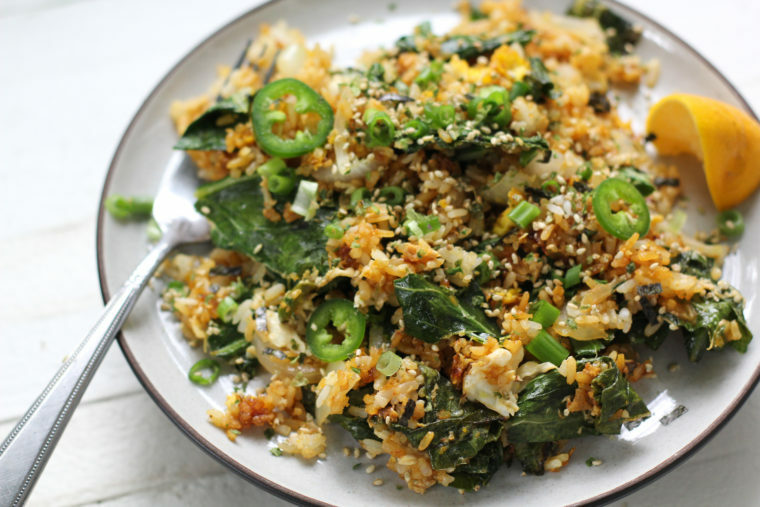 Remove the stems of the jalapeños (take out seeds if you want less heat) and add those. Pour in the juices from the pan. Add honey, cilantro, and lime juice. Purée until smooth. Taste and adjust the salt, lime juice, and honey to your taste. Slice the tortillas into quarters. Heat 1/4-inch oil in a skillet over medium-high. Add tortillas in a single layer. Fry until golden all over, flipping if necessary. Transfer to a plate lined with paper towels. Sprinkle with salt. Repeat with remaining tortillas. 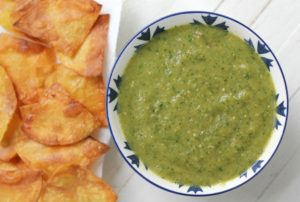 Fish tacos and salsa verde sounds like a winner for the annual Gloucester get together!! I’m sure your nieces would be into that! Absolutely! I’ll bring tomatillos. Those girls do love tacos! 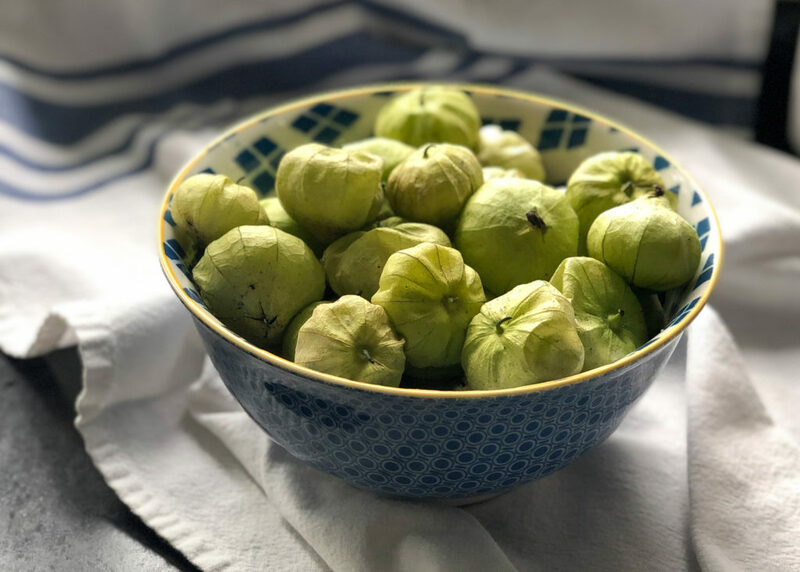 I meant to post this comment before–one of my favorite applications for tomatillos is Ruth Reichl’s Pork and Tomatillo Stew</a. You have to try it! Woah! Thanks so much for sharing it!